Pure Hydroponics provides a full Commercial Hydroponic System design and supply service. It is located in the Bay of Plenty region of clean, green New Zealand. 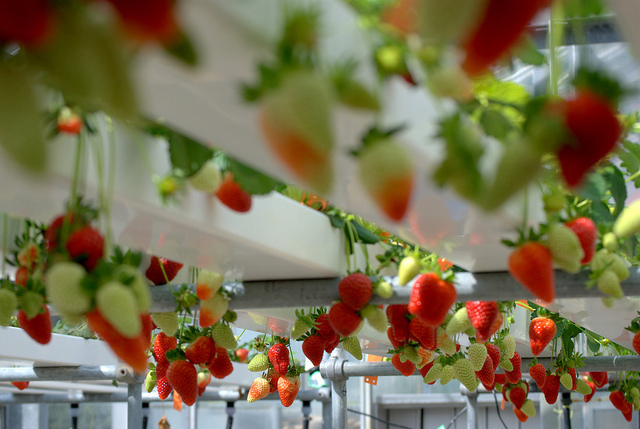 NFT is their preferred system for producing lettuces, herbs, strawberries and leafy greens. For growers located in distant countries we also offer a shopping list and design service which allows growers to source PVC pipework and common equipment locally and Pure Hydroponics supplies the specialist equipment only such as NFT gullies, dosing control system and NFT system accessories. This keeps freight costs down for the grower and can make the overall project more affordable. Hydroponics has always experienced a strong history of innovation in New Zealand, especially in the area of recirculating systems. The New Zealand Hydroponic industry is mostly made up of a large number of small to medium sized commercial growers as well as a segment of large corporate growers. It is through these smaller satellite growers that a lot of the innovations in the industry have been developed and passed on. Each grower tends to specialize in a certain crop and they are continually experimenting with new ideas to improve their crops or to make growing easier and less expensive.